Forecasters are beginning to hint at the possibility of a coastal storm affecting the Shore area Tuesday or Wednesday of next week, but not before the region gets a break from the recent spate of wintry weather with some mild temperatures and ample sunshine. Wednesday, Thursday and Friday will be sunny with highs of 45, 38 and 41, respectively, according to the National Weather Service. Saturday is forecast to be partly cloudy with a high of 54 degrees. Clouds could roll in by Sunday. 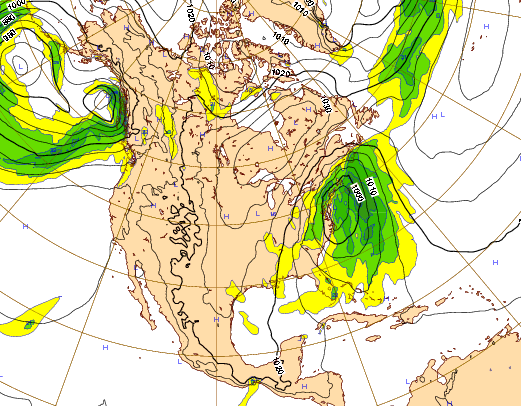 The forecast could take a turn next Tuesday or Wednesday, Feb. 23 and 24, when a coastal storm may develop offshore. Meteorologists are currently looking at forecast models that suggest a strong storm system could develop, but given the seven days between now and when the system might form, the forecast is still up in the air. Even if a system does develop, there is no telling if precipitation will fall in the form of rain or snow – or if it might develop too far offshore to affect New Jersey. Still, coastal residents are being urged to keep an eye on the forecast over the next several days and into the weekend as more accurate data is compiled.